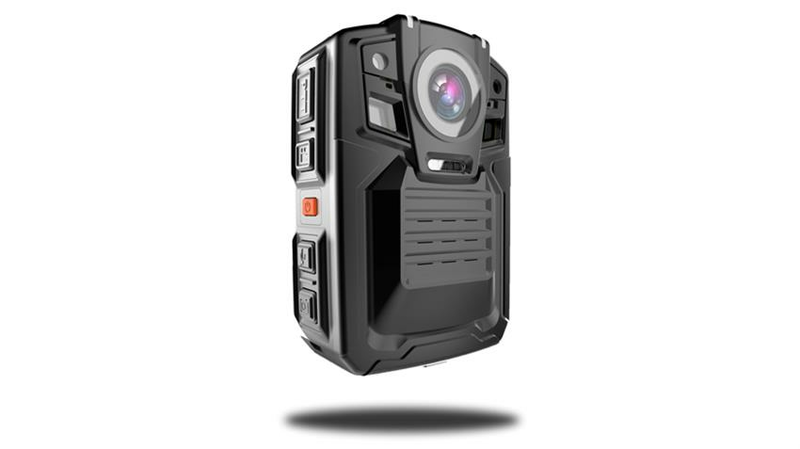 The TB 6 Police Body Camera offers top technology in a compact and lightweight package that is straightforward to use. This reliable Police Body Camera System offers color and night vision (enabled automatically in darkness) so it is ready to operate any time you need it. Its sophisticated night vision reaches 15 meters in darkness. With its robust design, this camera is also able to go pretty much anywhere you could take it: It's sturdy housing is shockproof up to 2 meters and is also waterproof up to 10 meters. A single, big recording button located in the front of the camera where your finger naturally expects it allows for rapid manual activation in addition to automated presets. Up to 1080p Full HD video quality and with its wide angle of 140 degrees is ideally suited to thoroughly capture events as they unfold. A low battery warning indicator combined with a solid 2000mAH battery for up to 6.5 hours of recording time that is moreover “hot swappable” meaning that the battery can be exchanged while the camera is operational and the spare battery is located in the camera itself ensure you do not to lose any footage of important encounters. You can rely on up to 13 hours of continuous recording. The TB 6 camera takes up to 64 GB of memory for extended recording. Further key features are the optional built-in support for WiFi (camera can be connected e.g. to a smartphone or tablet via app) as well as GPS functionality. Moreover, the camera’s event marking function allows you to mark important files and prevent them from deletion. An available software package local client and web server interfaces further round out this unit as one of the best Police Body Cameras. Finally, a variety of optional accessories allows for further customization of this camera to your specific needs.